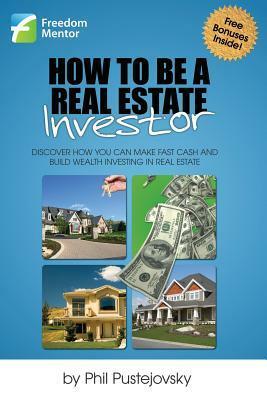 Ever wonder what it takes to become a successful real estate investor? To the inexperienced, it can be a risky business fraught with dangers. But for those in the know, real estate can be a quick ticket to financial freedom and security, and it’s certainly no coincidence that many self-made millionaires acquire their wealth through real estate investment. As a young man working at a Fortune 500 company, Pustejovsky quickly tired of the 9-5 grind and determined to make his money in real estate. But without the proper guidance, things quickly hit a wall and he soon found himself homeless. After giving his life to Christ, Pustejovsky met a seasoned real estate investor who became his mentor, showing him the ropes and giving him the tools and knowledge he needed to succeed and achieve his goal of financial freedom. With a new dream of expanding nation-wide, he created a successful mentoring program, after years of crafting a system for teaching others how to become successful real estate investors. In How To Be A Real Estate Investor, top real estate investor and mentor Phil Pustejovsky shows readers proven ways to get started in and become successful through real estate investment, pointing out commonly-overlooked and largely unknown ways to find lucrative investment properties, as well as how to avoid common pitfalls many inexperienced investors face. Real estate is not something you just “do” on a whim; its a serious, eyes-wide-open investment in your future that you need to make sure you are going about correctly, and I feel that this book does an excellent job in putting people in the right frame of mind, as well as equipping them with the proper information, to do just that. I also found the author’s continual focus on conducting business in a legal, ethical, and moral way very commendable. For anyone who has ever wanted to get involved in real estate, this book is a wealth of information designed to help people get started in the industry on the right foot. Highly recommended! 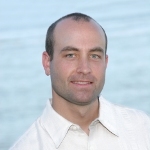 Phil Pustejovsky is a best selling author, national speaker, accomplished investor and has been recognized as the leading coach and mentor in real estate. His works have been featured in CBS MoneyWatch, Wall Street Journal’s MarketWatch and Yahoo! Finance. He frequently shares the stage with other legendary wealth experts such as Robert Kiyosaki, Robert Shemin and Peter Conti. Having been a part of more than 1,000 real estate investments himself, Phil is considered one of the most experienced investors alive. And for nearly a decade, Phil has been guiding everyday people to financial freedom though his innovative real estate investing techniques and strategies. Featured Book: The Boy and the Bottle, Plus a GIVEAWAY!